The 2013 World Series of Poker kicks off today in Las Vegas. The month-long carnival of cards features 62 different tournaments, culminating with the 10-day Main Event. 6,598 players put up the $10,000 entry fee for last year's Main Event; the champion walked away with a coveted World Series gold bracelet and a cool $8.53 million. Over the years, poker and the presidency have been inextricably linked. President Truman played poker with reporters for twelve hours a day on the ship returning from the Potsdam Conference and President Nixon is said to have used his winnings from the poker table to help fund one of his early political campaigns. In his seminal poker book, “Positively Fifth Street” author James McManus quotes one of Nixon’s college professors as saying “A man who couldn’t hold a hand in a first-class poker game is not fit to be President of the United States.” Indeed, many of the skills needed for success in a poker room can also be useful in the Oval Office. Sometimes a poker player is forced to make the difficult decision to fold a hand and wait for a better opportunity to present itself. Obama's agreement to extend the Bush tax cuts for all Americans at the end of 2010 was seen by many Democrats at the time as a capitulation. Through the poker prism, this move can be seen as Obama waiting for a better hand. His holdings had been weakened when the GOP took control of the House in the 2010 mid-term elections; when Obama won re-election last November, he had a stronger hand to play and was able to make a deal with Republicans that allowed the tax cuts on the wealthy to expire, albeit it at a higher income level than he had wanted. It's not hard to find a bully at most poker tables. 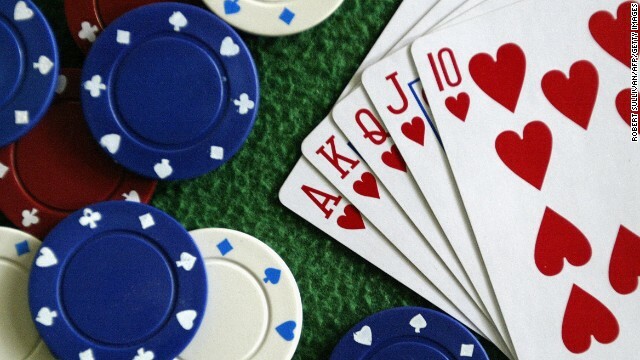 These players use aggression, winning pots by constantly betting and raising to force their opponents to fold what are often stronger hands. President Obama's firm but measured response to North Korean leader Kim Jong Un's recent threats of nuclear war indicate that he knows how to handle poker bullies. In describing Obama's poker game, one of his former colleagues told the Daily Beast, “He wasn’t a bluffer. When Barack was betting, you could pretty much know that he had a hand.” Obama seems to be ill at ease with bluffing, which can be a powerful weapon when used correctly in poker and politics. During the long and fraught debt ceiling negotiations in the summer of 2011, President Obama is reported to have walked out of a meeting with House Republicans, telling Majority Leader Eric Cantor, "don't call my bluff." Obama's mistake here should be obvious; in poker or politics, if you want to successfully bluff an opponent, you can't tell him you're bluffing. It is unlikely that the president will be following the play in the World Series of Poker, but if he does, he may learn a valuable political lesson or two.